I will not add to the flow of articles that have more than adequately analyzed the horrendous long-term consequences of U.S. President Barack Obama’s capitulation to the Iranian ayatollah, who to this day explicitly identifies the destruction of Israel as a primary objective and endorses calls of death to America and Israel by his followers. Iran is an Islamic global counterpart to Hitler’s dictatorship in its fiendish denial of human rights. Yet the U.S. is effectively rewarding and reinforcing the leading global promoter of terrorism for its ongoing commitment and fanatic determination to undermine the democratic world. Beyond transforming Iran into a threshold nuclear state, Obama has provided Tehran with $150 billion to intensify its global terrorist activities, in addition to the removal of embargoes of conventional arms and ballistic missiles, thus bringing European and North American cities into the range of Iranian missiles. The U.S. has demeaned itself as a world power and lost the confidence of its traditional friends who have witnessed Obama’s lies, his repudiation of crucial assurances initially made in relation to Iran and his betrayal and abandonment of longstanding allies while groveling to rogue states and dictatorships. To his credit, Prime Minister Benjamin Netanyahu performed an invaluable service over the past decade by singlehandedly fighting valiantly to prevent what would have been an automatic global acceptance of Iran as a full-fledged nuclear power. 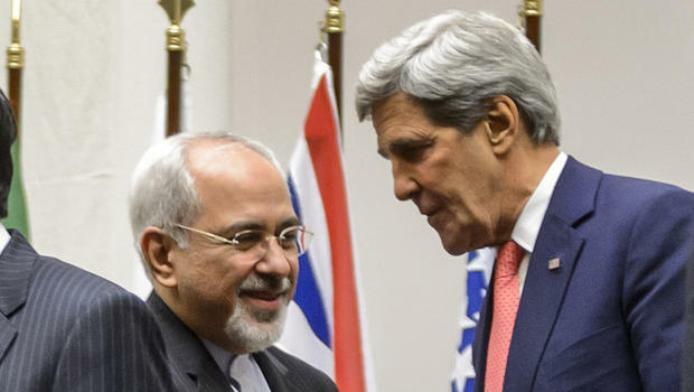 Without Netanyahu’s efforts, the sanctions would never have been imposed. Indeed, the civilized world was close to forcing the Iranians to back down — had it not been for Obama’s inexplicable obsession to engage with the ayatollahs. We must now strategize a new approach. In the short-term, our efforts must be directed toward convincing Congress and the American people of the diabolical global consequences if this agreement is consummated. The prospects of reversing, or at least introducing additional control or supervisory mechanisms instead of blindly trusting the duplicitous Iranians, are not good. However, we must do all possible to persuade Congress to reject the deal, and if necessary achieve a two-thirds majority vote in the House of Representatives and the Senate in order to override the president’s veto. That would require a substantial number of Democrats to join the majority Republicans in opposing their president and places special pressure on the 28 Jewish legislators, especially Senator Chuck Schumer who represents a major Jewish constituency but also seeks to become the Senate Democratic leader. Such action necessitates Israeli politicians to urgently set aside their narrow politics and speak out with one voice in order to neutralize claims that it is only right-wing elements in Israeli society that oppose the Iranian deal. To his credit, Labor Party leader Isaac Herzog has already fully endorsed Netanyahu’s efforts in opposing the current deal. 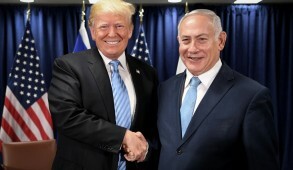 He has bitterly condemned the agreement and stated that he would visit the U.S. and warn the Americans that, if consummated, it “will unleash a lion from the cage” and enable an “empire of hate and evil” to undermine Israel’s security as well as global stability. More than ever, the time is now opportune for Herzog to override the radicals is his own camp and join a unity government. Were he to assume the role of foreign minister, Israel would be speaking with one voice which would make an enormous impact on global public opinion. Rumors suggest that negotiations are taking place to bring this about, which would be welcomed by the overwhelming majority of Israeli citizens. Israel’s challenge is to persuade congressional Democrats to stand up and if necessary repudiate their own president, not merely because he is endangering Israel but because he is undermining the standing and security of the United States and paving the way for the emergence of an evil global power that could unleash a blight on mankind for future generations. The relatively feeble response to date by the traditionally robust American Jewish leadership has been a significant factor in failing to inhibit Obama from implementing anti-Israeli policies — at total variance with the inclinations of the majority of Americans and their congressional leaders. Belatedly, there is now some movement. Howard Kohr, executive director of the American Israel Public Affairs Committee, has launched a major campaign to persuade Congress to reject the deal. 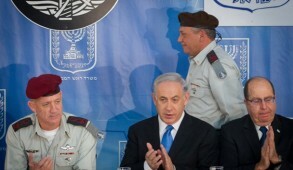 Malcolm Hoenlein expressed his personal opposition when he recently visited Israel with the newly elected head of the President’s Conference. But that umbrella body, operating by consensus, has yet to make a clear-cut condemnatory statement. 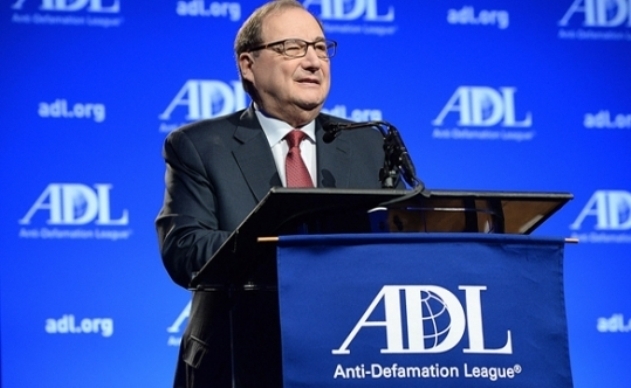 To his credit, Abe Foxman of the Anti-Defamation League, in what was possibly his last major public statement prior to his retirement, outrightly condemned the Obama administration. 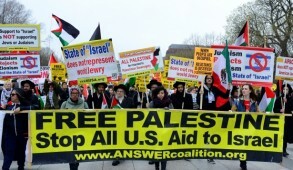 Many smaller organizations led by the Zionist Organization of America have bitterly protested against Obama’s betrayal but most American groups responded in a tepid manner, even after Herzog forthrightly condemned the deal. 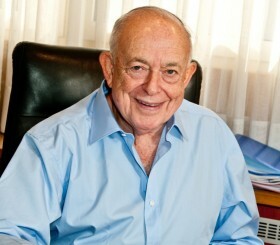 The American Jewish Committee headed by David Harris expressed concern but avoided calling on members to lobby Congress to veto the deal. To their shame, the leadership bodies of the Conservative and Reform movements responded with deafening silence, at best, but many of their “progressive” rabbis are actively supporting Obama. Needless to say, J Street, the “pro-Israel, pro-peace” organization, boasts that it is spending millions of dollars to lobby Congress to support the bill. Unless AIPAC succeeds in reversing these trends, the likelihood of convincing sufficient Democratic congressmen and senators to form a two thirds majority to veto Obama’s deal is slim. Obama’s despicable decision to bypass Congress and have the deal ratified by the United Nations Security Council before the 60-day review period has led to bipartisan outrage from legislators, with Senator Bob Corker describing the act as “an affront to the American people … an affront to Congress and the House of Representatives.” Pursuing such a provocative path suggests that Obama still has concerns about the response of Congress. This will be a tough battle but we must resist defeatism. We must remind ourselves that even if this catastrophic agreement is consummated, we are not a powerless nation. The majority of Iranians are not all deranged Islamists seeking an early paradise and will be deterred by the knowledge that we have the capacity to wipe them off the face of the earth should they, God forbid, ever employ nuclear weapons against us. In the past, Israel’s impressive ingenuity succeeded in thwarting threatening challenges. The Israeli citizen is not privy to all strategy but we should remain confident and assured that the government is currently formulating Plan B — a tactic that will continue to safeguard the security of the Jewish nation, even should this catastrophic deal be consummated. We should also be relieved that Obama’s term of office expires in less than 18 months and hopefully he will soon become a lame-duck president. Of course, during that time he may attempt to introduce further harmful policies which could create serious difficulties for us. 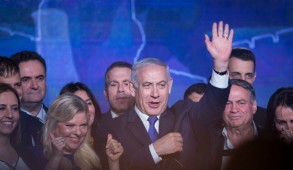 But we must remain optimistic: Whoever replaces him will hopefully be a major improvement and may seek to quickly initiate measures to prevent the mullahs from broadening the scope of their global terrorist campaigns, restore equilibrium in the region and regain the confidence of the United States’ traditional allies, including Israel. In the meantime, Israel should unite and remain confident in our ability to deter our enemies, defend ourselves and overcome challenges in the future as we have in the past.